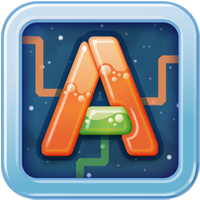 Glyfyx’s Digital products share a love for the alphabet! Our creative team shares a love for the alphabet — so that’s what our digital products are about. Click below to learn more about our iPhone game, and our digital fonts. For Alphabuild, we wanted to pay tribute to the process of building letters… which is the other fun work we do here at our studio. We wish building letters for our clients was as zany and colorful as it is in Alphabuild. On the other hand, we’re glad we don’t have aliens, glue bottles and sawblades trying to mess up our letters. Beautiful pixel type! 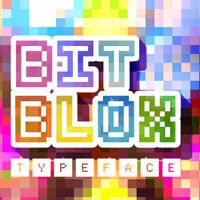 These are the fonts we built for our Bitblox alphabet cubes. We decided to make a few extra styles and make them available to you. More digital products on the way! Follow us on Twitter for updates!